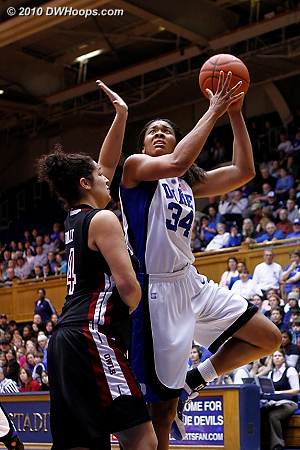 Karima Christmas was Duke's star against Temple, with half of her 20 points coming from the line. 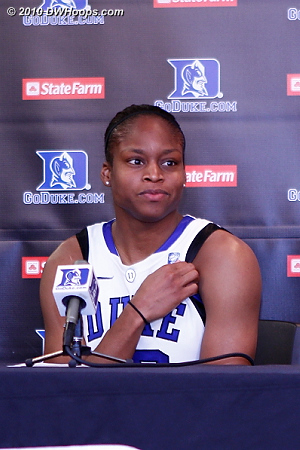 Chelsea Gray had a tough night with four fouls and zero points in eleven minutes of play. 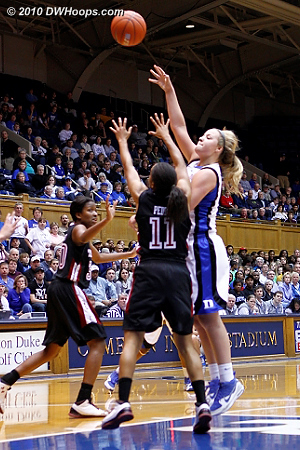 Kathleen Scheer hit this jumper to give Duke a 6-2 lead, but ended up sitting the last sixteen minutes of the half. 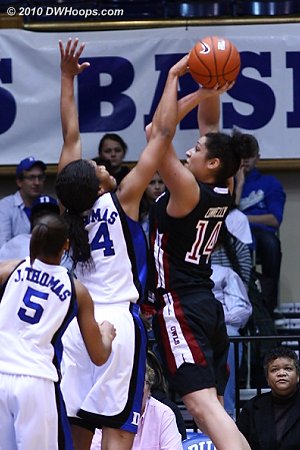 Krystal Thomas with tough D on Temple center Victoria Maccaulay, who would foul out without scoring. 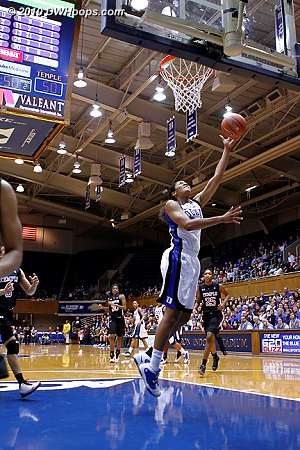 Jasmine Thomas finishes a layup attempt. 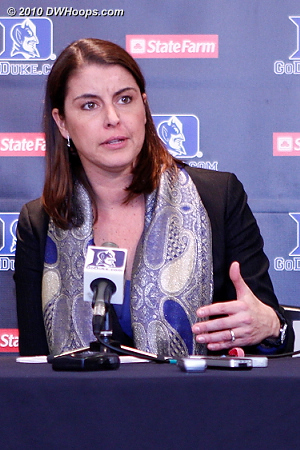 Temple Head Coach Tonya Cardoza played for Virginia and later was an assistant at UConn. 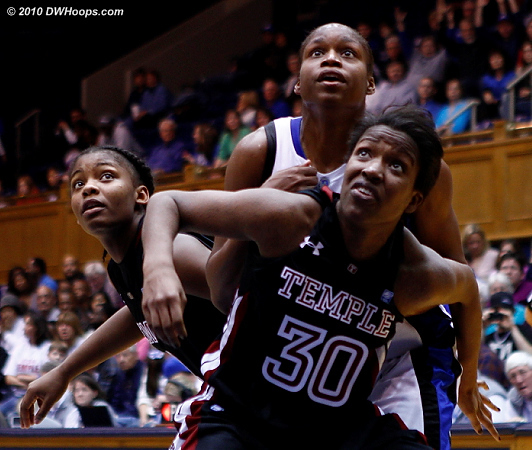 Temple's Qwedia Wallace lead all scorers with 21 - here she gets a good look over Jasmine Thomas. Support DWHoops with a 2015 membership for just $20! 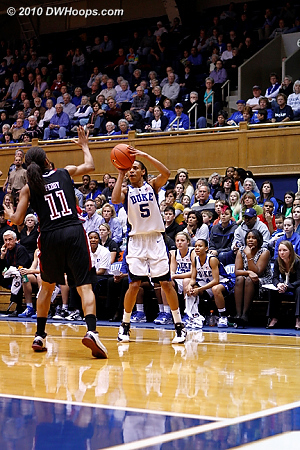 Jasmine Thomas shoots from the corner, she was 2-8 in a first half where a large Duke lead evaporated. 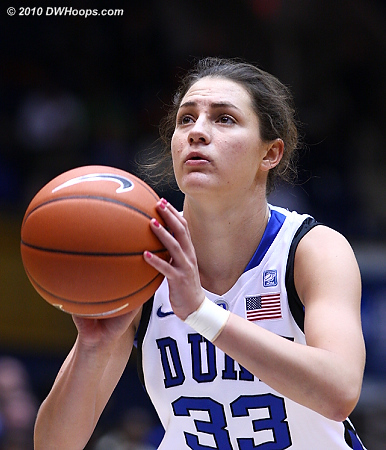 Haley Peters on the line for a traditional three point play, putting Duke put 14-11. 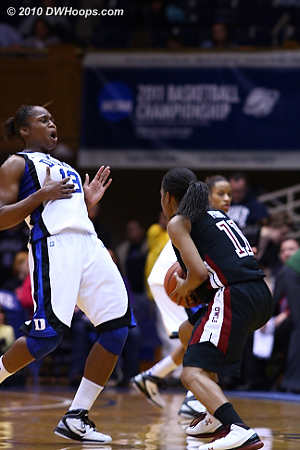 Jasmine Thomas hits a three pointer to give Duke a 17-13 advantage. 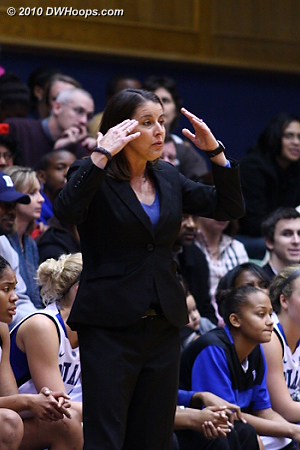 The ever-intense Kathy Kennedy applauds from the first row of floor seats after Chelsea Gray drew a charge from Shey Peddy. 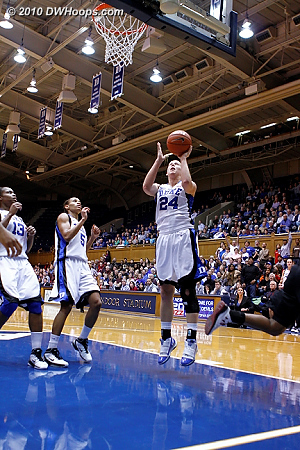 This Wells trey gave Duke its largest lead of the first half, 23-15. 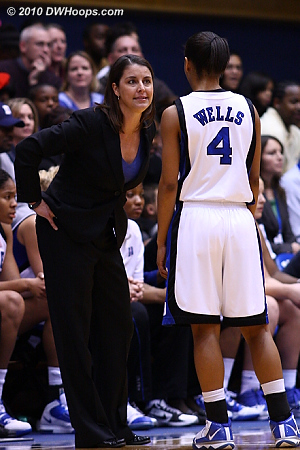 Duke Head Coach Joanne P. McCallie seeks explanation from freshman guard Chloe Wells during a 7-0 Temple run. 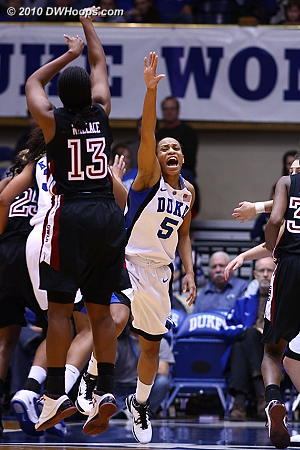 Chloe Wells swats a BJ Williams shot into the stands. Chloe Wells gets a hand check from Temple reserve Satoria Bell. Tricia Liston brings the ball up after a defensive rebound. 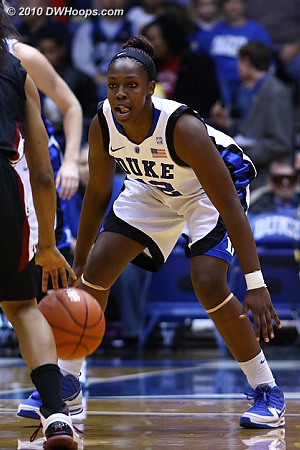 Liston makes a superb pass to Krystal Thomas in the low post. 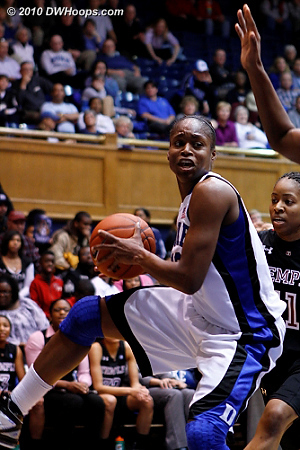 Karima Christmas is fouled by Victoria Macaulay. 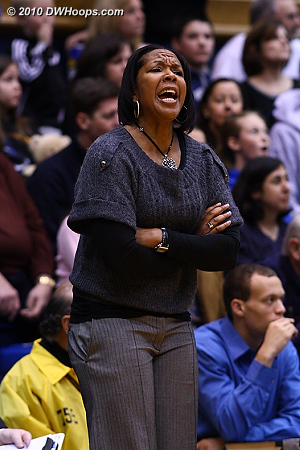 Coach Cardoza wonders what is going on. Like these photos? 2015 Membership is just $20! 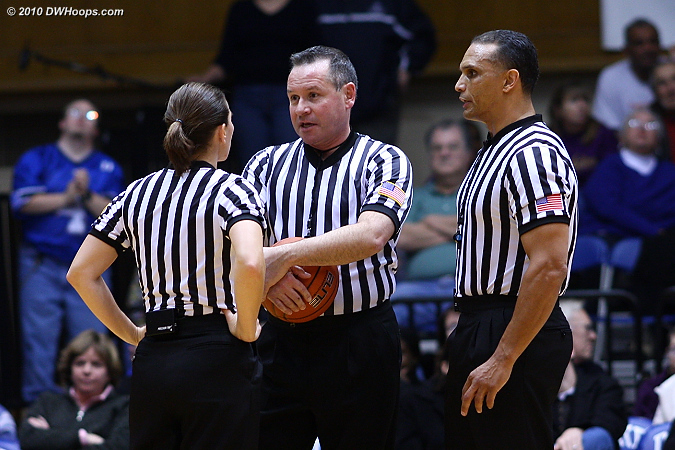 Officials Bonnie Pettus, Bryan Brunette, and Billy Smith huddle during a media timeout. 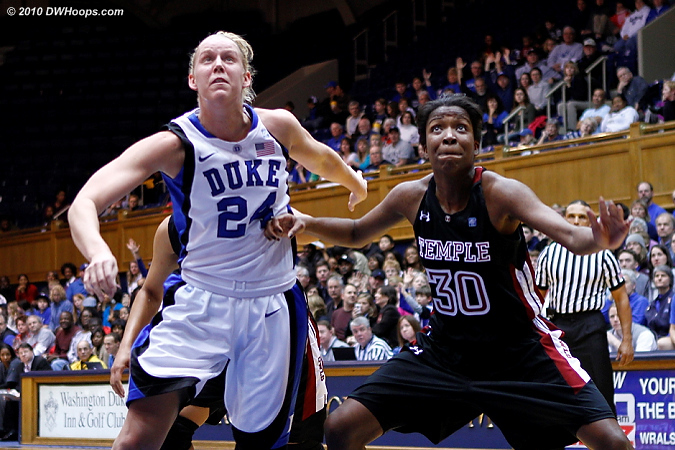 Haley Peters battles Temple's Kristen Mccarthy for a loose ball. 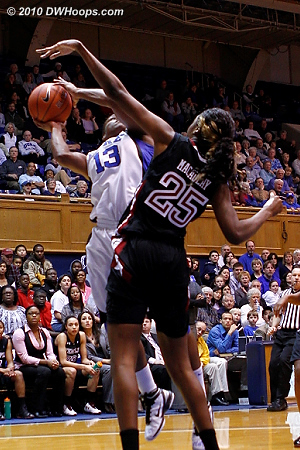 Krystal Thomas gets a clean block on Joelle Connelly's shot. Early in the second half Kathleen Scheer and Marli Bennett eye a potential free throw rebound. 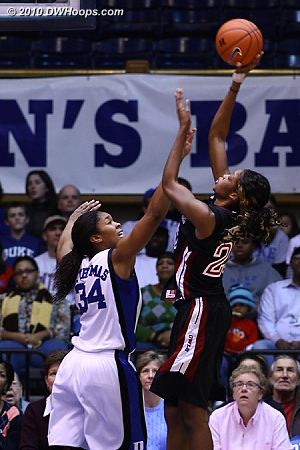 Krystal Thomas takes a layup over Joelle Connelly. 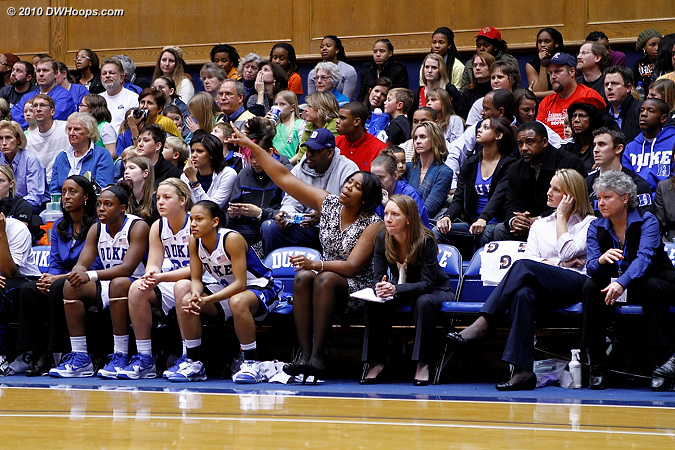 Joy Cheek and Keturah Jackson were in the house tonight. 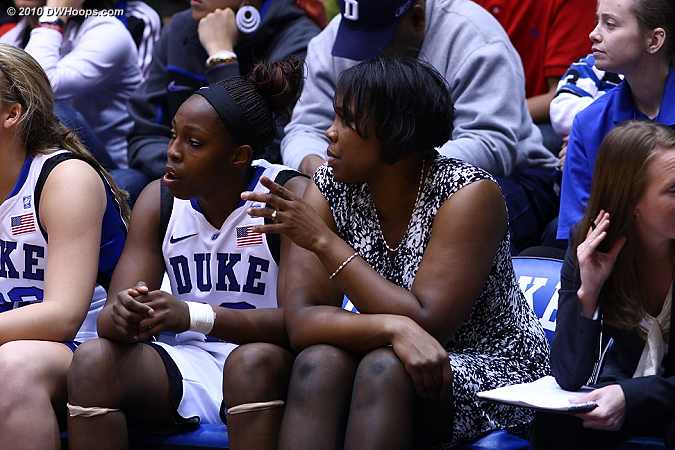 Richa Jackson remained on the bench with a shoulder strain but may return to the lineup next week. 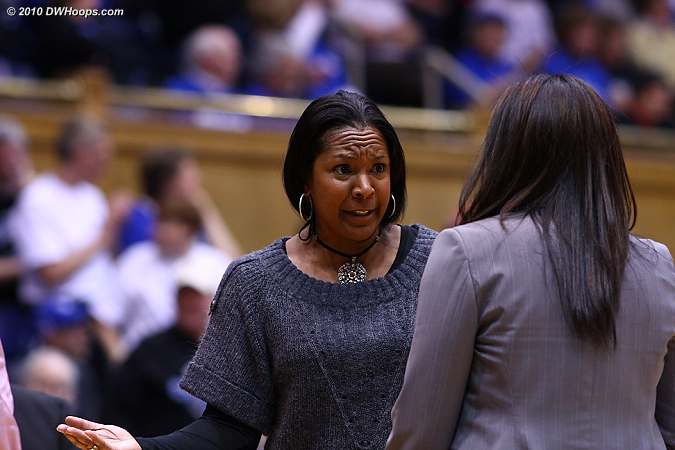 Assistant Coach Tricia Stafford-Odom has some guidance for Chelsea Gray after her fourth foul. 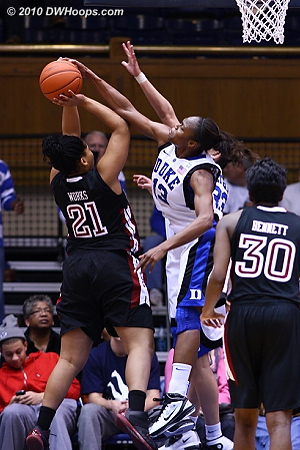 Karima Christmas gets a clean block of Nikki Works. 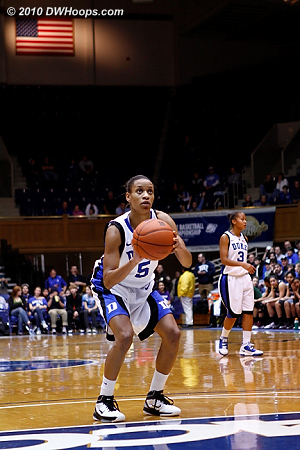 Shay Selby was 3-3 from long range in the second half. 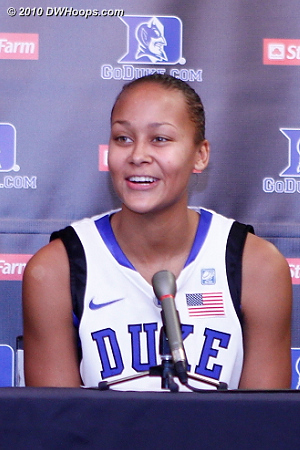 Another hit for Selby who was instant offense when Duke needed it most. 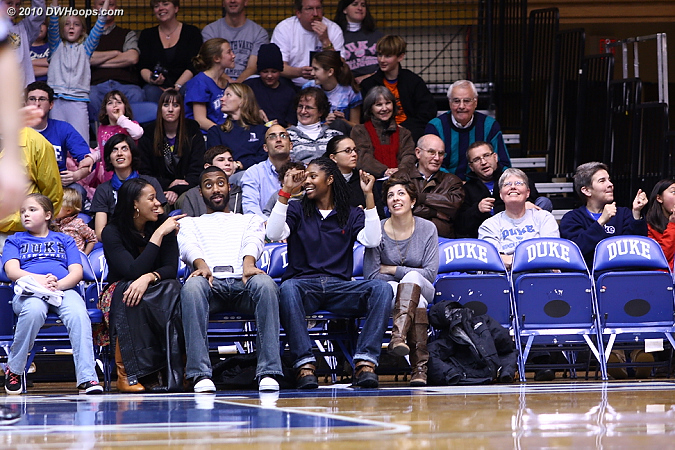 Duke bench and fans react to another Selby trey. 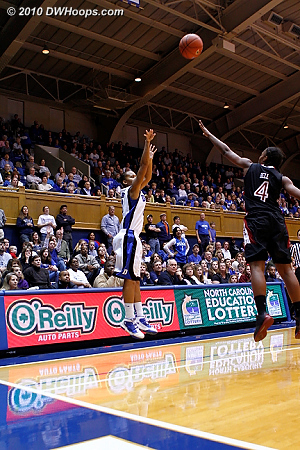 Jas puts Duke up 61-47 with this jumper, just over 5 minutes remaining. Krystal lays it in (from Selby). 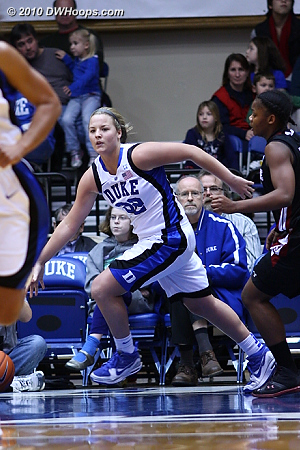 An amazing no-look pass by Shay Selby set up Kathleen Scheer under the basket. 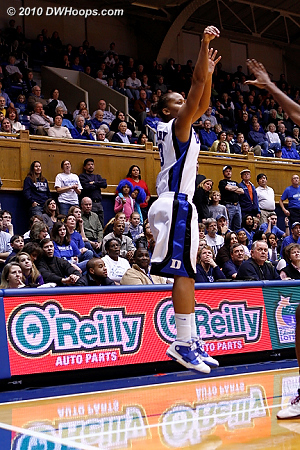 Scheer handled the no-look pass from Selby perfectly for the fast break layup and Duke's biggest lead (65-50). 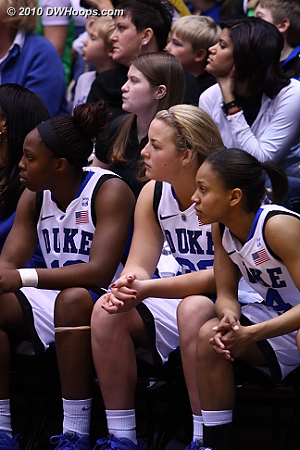 Three of the freshmen watch from the Blue Devil bench as Duke's lead dwindles. 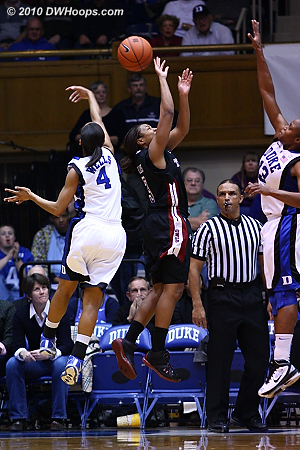 Karima Christmas boxed out by Marli Bennett during a Duke free throw attempt. 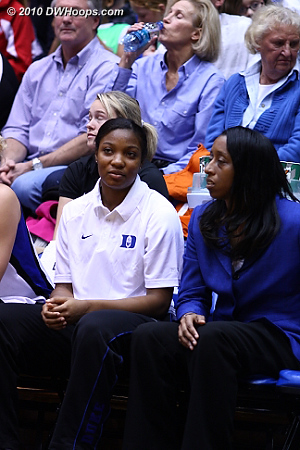 The Duke bench as Temple's Victoria Macaulay has fouled out. 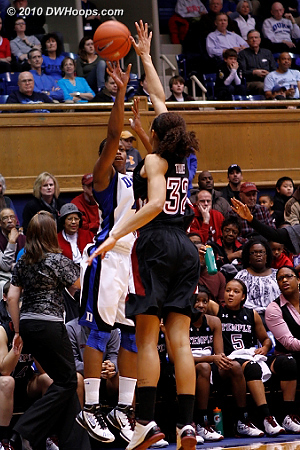 Shay Selby tries to work her magic again, but a miss gave Temple the chance to cut into Duke's ten point lead. 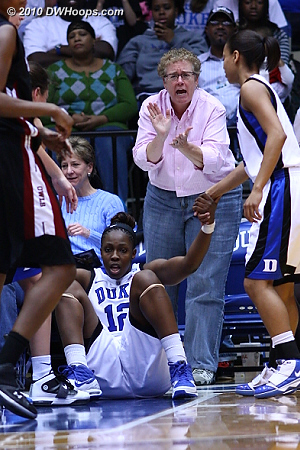 Karima Christmas recoils from Shey Peddy after absorbing an elbow. 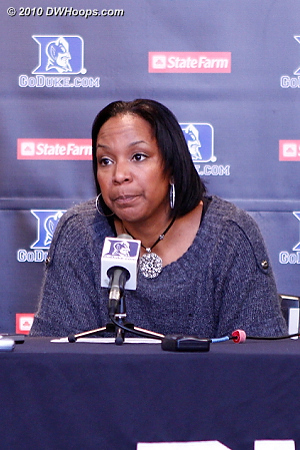 Coach P said that she was unhappy at Duke being outrebounded again. 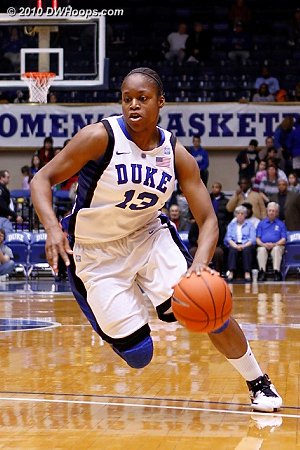 and ACC Women's Basketball from 2006 to the present day via ACC WBB Digest. 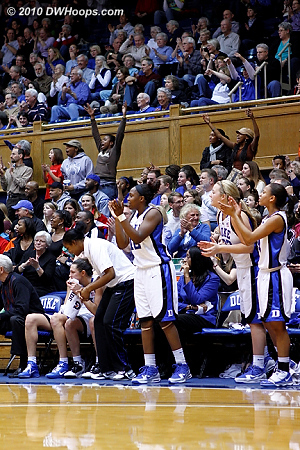 We support but are not affiliated with Duke University Athletics or The Atlantic Coast Conference. Website Content Copyright � 2007-2018 DWHOOPS.COM (Orin A. Day, Durham, NC, USA.) All Rights Reserved.